Recently I purchased a 10 amp power supply to run my garden railroad, but after testing it out, I found that not all my models are running correctly with it. I have a Bachmann 4-6-0 and a Bachmann Rail Truck that seem to be the only models I'm having trouble running with this power supply. The 4-6-0 will not move when I apply power, but once brought up so high will take off like a rocket, but come to a dead stop once the knob is turned down even the slightest bit. When the model is standing still and power is applied, the headlight is on, but it is very dim. The rail truck however presents a different problem. The truck has a 4 way switch located in the toolbox which has the following settings. When the switch is in Position 0, the lights on the model come on. Then when the switch is in Position 1, the model will run in reverse, but not forward. Positions 2 and 3 don't appear to be causing any problems that I can see. In the troubleshooting part of the manual for the controller, it says that if the locomotive will not run at slow speeds, the motor armature is bad and they recommend replacing the motor. There's also a part that says if the locomotive has stopped but the lamp in the cab or headlight is on, then the motor is damaged or the switch is not set properly. In this case they recommend either repairing the locomotive or set the switch to the correct position. I can see where this may apply to the 4-6-0, but I think the Rail Truck is a different story. As for the other models I currently have in my collection, I've also got a Bachmann 0-4-0 Porter, Bachmann 2-4-2 Lyn, Bachmann Thomas, Bachmann Percy, Bachmann James, Bachmann Emily, Lionel James, and an LGB 2090. I've tried running these models with the controller, and they seem to run just fine. I also have hopes to get the Bachmann Two-Truck Climax, Bachmann C-19 2-8-0, Bachmann 2-6-0 Industrial Mogul, Bachmann 0-4-0 Gas Mechanical, and the Bachmann Speeder in the future, but I'm afraid of having the same problems with these models as I am with the 4-6-0 and the Rail Truck. If anyone can help me, it would really be appreciated. Which version 4-6-0 do you have?? Is it one of the older ones?? It could be a gear problem or even a binding problem rather than the motor?? In the Version 5 4-6-0 motor failures while not impossible, are extremely rare. Hard to diagnose from afar though. Make sure the locos drivers are quartered. 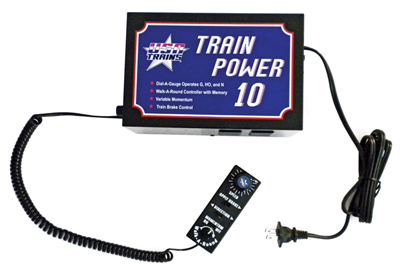 Try the locomotive using a different power supply and see if it runs any different. Same with the truck and see what happens. The 4-6-0 I have is the older one I believe as I got it in the Durango and Silverton Freight set back in 2010. I've recently ran a test on both the 4-6-0 and the Rail Truck, and here's what I've found. I set aside the 10 amp power supply I was using and used a Life-Like 120V controller for my test. What I found for the Rail Truck is that the lights come on in Position 1, but the truck doesn't move in forward or reverse. However, when the switch is in Position 0, the lights still come on. As I said in my previous post, Position 0 should be all power off. The 4-6-0 however works just fine in forward and reverse and runs smoothly. The light also comes on dim at first then gets brighter as voltage increases just as it should. I guess now that we know that, it's a sign that the motor on the unit is fine. It does have me a little worried about my 10 amp power supply though. Considering I just bought it, I'm worried it may be faulty. What do you think? The railtruck issues are puzzling and I don't have any solutions which come to mind. I may be possible that at some point it became overloaded and fried something on the electronics board. As for the 4-6-0 it is actually a newer version with the latest chassis, and I am glad it is running fine on the other power supply, but I have no idea as to why it will not run OK on the 10 Amp supply. Does the 10 Amp power supply have its own speed controller or is the speed controller separate from the power supply?? If separate it could be a speed controller issue. Hard to say, but I am wondering what other locos are you have which run fine using the 10 Amp power supply?? Wish I could help more, but that is all I can think of for now, Hopefully someone else reading this will have some better ideas than I do and jump in. The power supply I'm using is referred to as a Walk-A-Round controller with memory. Basically the controller itself can be plugged and unplugged from the power supply and the locomotive can remain running at the desired speed until the control is plugged in again and set to another speed. The other models I have in my collection that run just fine on the 10 amp controller are the Bachmann Thomas, Bachmann Percy, Bachmann James, Bachmann Emily, LGB 2090, Bachmann 2-4-2 Lyn, Bachmann 0-4-0 Porter, and the Lionel James. Being I've only had this new controller a couple weeks, I haven't really had time to do a thorough examination on how everything runs, as some of these models (just like the rail truck) have multiple settings and can be completely turned off if desired. I'll have to investigate this a little further. I'm thinking that maybe I will have to take apart the 4-6-0 and the Rail Truck and see if I can find any issues. I would like to install a polarity switch on the 4-6-0 anyway, so I'd have time to do that while I'm running some tests. I'm hoping maybe Mr. Bach-man can also shed some light on the issues I've been having with these 2 units as well. I apologize for double posting, but I've just finished running some tests and I believe the problem is coming from the units themselves and not the power supply. I brought back in the 120v controller again and ran tests on the 0-4-0 Porter and 2-4-2 Lyn. I didn't try this with any of the Thomas & Friends models, as they do not have switches which include an off position. When I tested the Lyn and turned the model off, it wouldn't move and the light didn't come on no matter what I tried. The Porter was the same way, but the headlight would come on when the control was set to the forward position. Considering the paper work for the model says nothing about whether or not the off setting is for both the motor and lights, I don't know if this is an issue or not. If it is, I'm pretty sure I can live with it. These results were the same for both models when I was using the 10 amp supply as well. The mystery of the Rail Truck however has pretty much been solved I think. Before I go over that, here's another quick rundown of the settings the truck has. When testing the model again on the 120v controller, I found that when the switch is set to Position 1, the lights come on and the model will move in reverse. In Position 0 which should be all power off, the lights still come on. The results were the same when using the 10 amp controller. Sadly as much as I hate to say it, I think you're right, Bill and something on the board is probably fried. Thankfully I can see Bachmann sells replacement boards in their parts catalogue, so I'll probably go ahead and order one when I get the chance to do so. As for the 4-6-0, I'm going to see about taking the unit apart and maybe trying to fix it. I'm not seeing a replacement board in Bachmann's parts catalogue, so I may have to instead track down another 4-6-0 for parts and rob the board out of that one. I kind of wish I had another 4-6-0 to try with this controller and see if it's just this particular model that's faulty. Another option would just be send it back to Bachmann, but I'd have to pay a $55 service charge and probably shipping both ways on top of that. Either way, I'm starting to feel a little more confident about my 10 amp power supply now. Is this the power supply that is giving you problems? If so, I have one too that gave me weird problems. It turned out to be the hand control cable! It is a telephone cable, so I went to my local Radio Shack with it and purchased another cable. Viola! It worked as advertised. This may or may not be YOUR problem, but it's worth a try. Slow down and check the phone cable if you have one like Joe says, It is why I asked you if you had a power supply with a built in speed control or one separate from the power supply. As for Bachmann, the shipping to them you pay, but they do pay for shipping back..... BUT before you send it to Bachmann or tear into it be sure the problem is really the locomotive, be advised that Bachmann has told me that many times when folks send in the locomotive, they find nothing wrong with it. Double check simple things in the instruction booklet, like being sure the pilot truck has the arrow facing forward, etc. 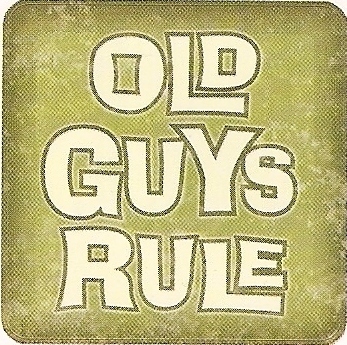 Also check out options like getting a new chassis from Bachmann, as noted in the following link. If I understood what you said in your earlier post, that the loco ran fine using the other smaller power supply, then I feel pretty sure it is not the locomotive. Yes, Joe that is the power supply I'm using. I think I'm going to do what you did and try replacing the cord. Even if it doesn't work, buying an extra cord to have laying around is a lot cheaper than shipping a large scale model to Bachmann and paying a service charge on top of that. I'll give you an update once I find anything out. I'll keep a chassis in mind if all else fails, Bill. Big thing right now is I don't want to go spending money unnecessarily to fix models when what I'd really like to be doing is getting my hands on others that I want for my collection. Thanks for the advice and I'll keep you posted when I find anything out as well. Well, first off, I apologize once again for double posting. That aside, I've got an update on this topic. It did take me some time to get another cable as I only have one electronic store locally, and they didn't have the type of cable I needed because their shipments have been delayed due to the hurricanes down south. On the plus side, I finally got around to getting one, but that hasn't solve the problem. The 4-6-0 continues to have the same problem as it did before. I guess the next question is, where do I go from here? Sorry to hear the 4-6-0 problem persists. A late comer to the party, but please let the 'Know nothing busy body' make an observation. Not being knowledgable on the Train Power controller I went to the USA Trains site to get educated. Reading the info one statement jumped out at me and raised a red flag. The variable control not only limits the output voltage but sets the waveform appropriate to the scale train being run. This feature makes the TRAIN POWER 10 a pack for all gauges." It has been my experience that a statement like this indicates either DCC control or PWM (Pulse Width Modulation), both can cause issues with Bachmann electronics. I suspect this may be why simple Ten Wheelers with almost no electronics work and the Rail Truck is giving you issues. I don't know how to set the Train Power to Linear DC, but maybe Joe can help you there. I don't know this to be the fix, but this has not been addressed in the conversation so far. Good luck finding a resolution, I am sure one exists somewhere. Something does not sound right... you have a bunch of locos that run fine all the time, no matter what controller. You have a loco that basically won't run slow on the USAT controller but works fine on the other one. I think you need to test one of the "good" locos again on the USAT controller... I think it's the problem. I have Bachmann 10 Wheelers and the Rail truck and mine both will run fine with any setting on the USAT power pack. Setting it to a lower scale only seems to lower the max output voltage. My motive power runs well with any waveform setting. BTW, I took my Train Power 10 out of service and replaced it with a Bidgewerks system and then an Aristo TE system because I wanted radio control and the sound system in my Aristo 0-4-0 wouldn't work correctly on linear DC. It needs PWC (Greg clued me into that ). So earlier tonight I was running trains on my outdoor railroad and I figured I'd give the rail truck and the 10-wheeler a go just for the hell of it. I was using the USAT power pack just as I was before, but this time both models ran just fine. The rail truck worked just as it should no matter which setting I had it set on and the 10-wheeler did the same. I even ran these models at the same time as the other models I had out there tonight and had no problems at all. I was running trains for over an hour before taking everything inside for the night. So what's different? Well, when I ran the models before it was only on a small test track in my room. About a 6' stretch of straight track and the USAT controller to power it. My outdoor railroad measures 11' x 26' with additional sidings leading off to park trains. I also use the USAT power pack on this as well. I'm not sure if having a larger amount of track helped me or not, but that's the only thing I can see that I've done different. I guess the good thing here is that I don't need to take the rail truck or the 10-wheeler apart, or purchase a lot of parts to fix them. Looks like I'll have plenty of cash to buy more of that Spectrum rolling stock I've been wanting to get!